This previous post highlighted facts and figures from SEC enforcement of the FCPA in 2015. This post highlights facts and figures from corporate DOJ FCPA enforcement in 2015. (See here for a similar post from 2014, here for a similar post from 2013, here for a similar post from 2012, here for a similar post from 2011, and here from 2010). When reviewing the statistics below, keep in mind that there were only 2 corporate FCPA enforcement actions in 2015. Thus, certain of the below statistics are largely meaningless, yet nevertheless highlighted for comparative purposes. In 2015, the DOJ brought 2 corporate FCPA enforcement actions (the lowest number of corporate DOJ FCPA enforcement actions since 2006). By comparison, in 2014, the DOJ brought 7 corporate FCPA enforcement actions; in 2013 the DOJ brought 7 corporate enforcement action; in 2012 the DOJ brought 9 corporate FCPA enforcement actions; in 2011 the DOJ brought 11 corporate enforcement actions; and in 2010 the DOJ brought 17 corporate enforcement actions. (Note: these figures use the “core” approach to FCPA statistics – see here for the prior post – an approach also endorsed by the DOJ – see here). In the 2 corporate FCPA enforcement actions from 2014, the DOJ collected approximately $24.2 million in criminal fines. 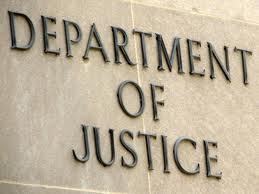 By comparison, in the 7 corporate FCPA enforcement actions from 2014, the DOJ collected approximately $1.25 billion in criminal fines (an all-time record in terms of yearly FCPA settlement amounts); in the 7 corporate FCPA enforcement actions from 2013, the DOJ collected approximately $420 million in criminal fines; in 2012, the DOJ collected approximately $142 million in criminal fines; in 2011, the DOJ collected approximately $355 million in criminal fines ($504 million including the $149 million forfeiture in the Jeffrey Tesler individual enforcement action); and in 2010, the DOJ collected approximately $870 million in criminal fines. Corporate DOJ FCPA enforcement in 2015 ranged from $17.1 million (Louis Berger) to $7.1 million (IAP Worldwide). Both enforcement actions were DOJ only and involved privately-held companies. In the 1 corporate FCPA enforcement actions where an analysis was possible, the DOJ agreed to a criminal fine at the minimum range suggested by the sentencing guidelines. Of the 2 corporate DOJ enforcement actions in 2015, 2 (100%) resulted in related DOJ prosecutions of company employees. Notwithstanding this 2015 statistic, as highlighted in this prior post, approximately 75% of DOJ corporate enforcement actions since 2008 have not (at least yet) resulted in any DOJ charges against company employees. The DOJ announced 8 individual FCPA enforcement actions in 2015 (Harder, Rama, Hirsch/McClung, Garcia, Condrey and Rincon / Shiera) in 6 core actions. Stay tuned for future posts specifically about DOJ and SEC individual FCPA enforcement actions in 2015. In 2015, 2 of the 2 (100%) DOJ corporate enforcement actions were resolved via an NPA (IAP Worldwide) or a DPA (Louis Berger). By way of comparison, in 2014, 5 of the 7 (71%) DOJ corporate enforcement actions included an NPA or DPA; in 2013, 100% of corporate DOJ enforcement actions involved either an NPA or DPA; in 2012 100% of corporate DOJ enforcement actions involved either an NPA or a DPA; in 2011 82% of corporate DOJ enforcement actions involved either an NPA or DPA; and in 2010 94% of corporate DOJ enforcement actions involved either an NPA or DPA. Since 2010, approximately 85% of corporate DOJ enforcement actions have involved either an NPA or DPA. Of the 2 DOJ corporate enforcement actions in 2015, 1 enforcement action (50%) was the result of a corporate voluntary disclosure. By way of comparison, of the 7 corporate DOJ FCPA enforcement actions in 2014, 2 enforcement actions (29%) were the result of corporate voluntary disclosures; in 2013 57% of corporate FCPA enforcement actions were the result of corporate voluntary disclosures or the direct result of a related voluntary disclosure; in 2012, 78% of corporate FCPA enforcement actions were the result of corporate voluntary disclosures or casually related to previous corporate voluntary disclosures; in 2011, 73% of corporate FCPA enforcement actions were the result of corporate voluntary disclosures. Of the 2 corporate DOJ FCPA enforcement actions in 2015, 1 (50%) enforcement action (Louis Berger) resulted in a corporate monitor. By way of comparison, of the 7 corporate DOJ FCPA enforcement actions in 2014, 1 (14%) resulted in a corporate monitor; of the 7 corporate DOJ FCPA enforcement actions in 2013, 4 enforcement actions (57%) involved a monitor; of the 9 corporate DOJ FCPA enforcement actions in 2012, 3 enforcement actions (33%) involved a monitor; of the 11 corporate DOJ FCPA enforcement actions in 2011, 1 enforcement action (9%) involved a corporate monitor; of the 17 corporate DOJ enforcement actions in 2010, 7 enforcement actions (41%) involved a corporate monitor. This remainder of this post provides an overview of corporate DOJ FCPA enforcement in 2015. Guidelines Range: None set forth in the NPA. Disclosure: Unclear, the NPA makes no mention of voluntary disclosure or other potential origins of the action.